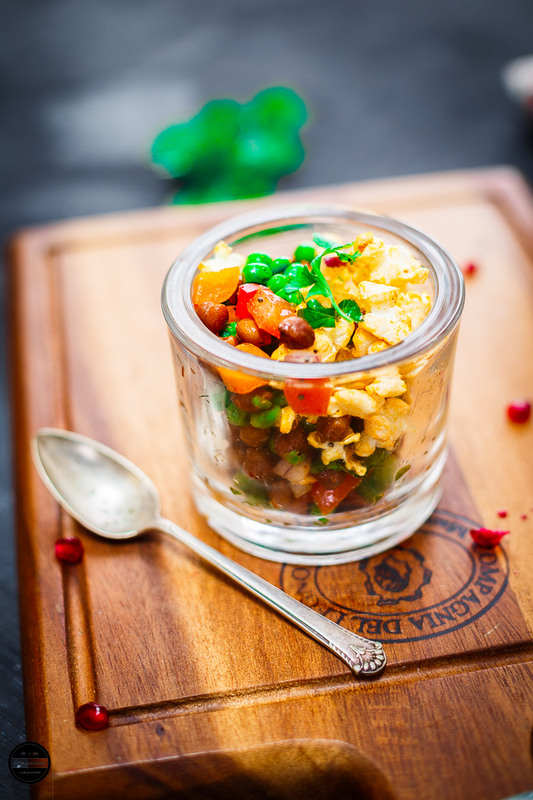 Try this healthy and tasty Green peas, Chickpea and Popcorn Bhel/Chaat or spice mix. It is a unique snack that is nutritious and colourful. 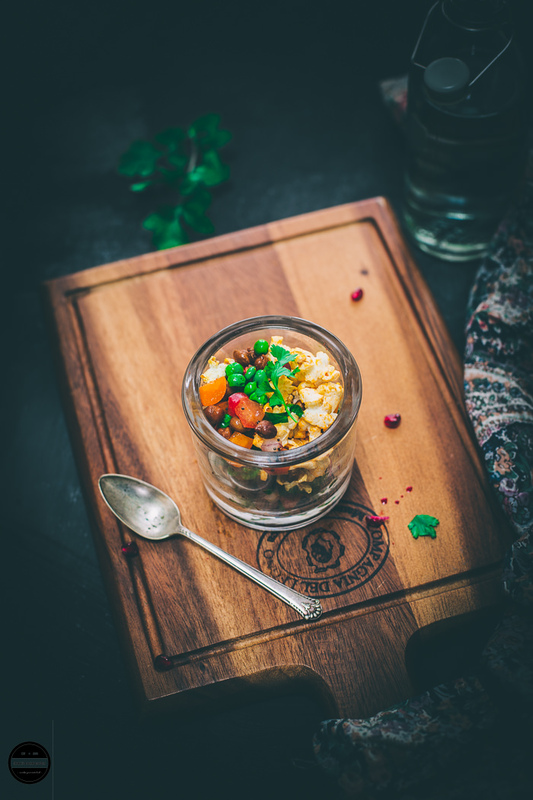 This crispy and crunchy healthy mix can be done in a few tics and definitely satisfy your hunger pangs whenever you feel like having a snack. Although recently temperatures have dropped very low, the bitter cold wind have blown in from the east, making everyone go numb! But, clearly spring signs are everywhere, and it feels like spring is just around the corner. 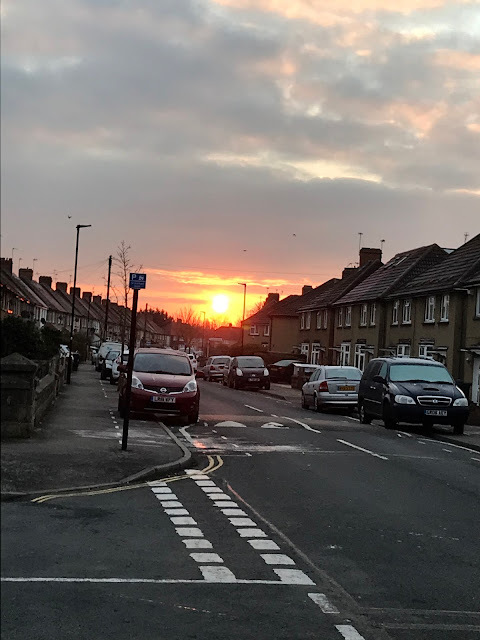 Past few days the sun is rising early, while I go for my walks early in the morning, I watch a sunrise, sometimes I take out my phone and click pictures of it. 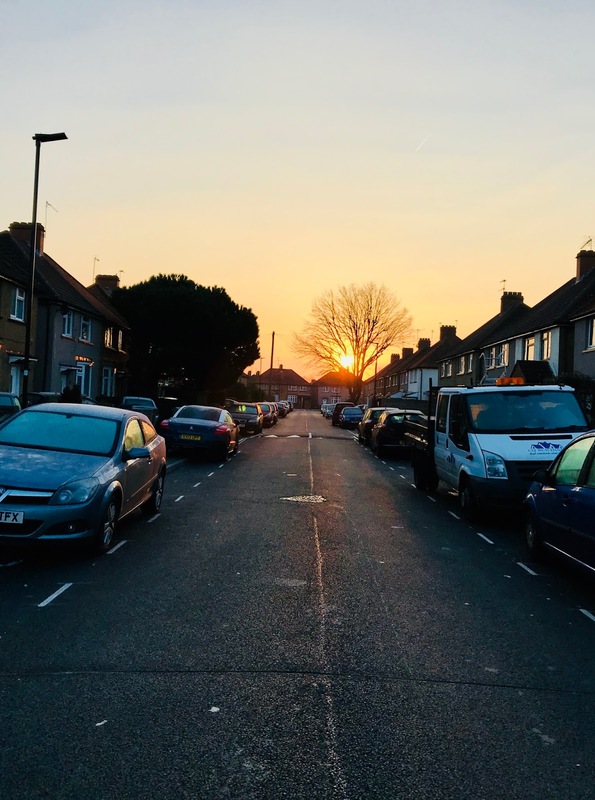 People say sunrise is a magnificent time of the day, when you witness the sunrise it feels it's a new beginning and fills your hearts, mind, and body with joy, happiness, and energy. It recharges you for an entire day. Also, it is a nice surprise to see a burst bright and sunshine in the fields and people's front gardens with fresh spring blooming flowers such as daffodils in February. The spectacular and energising sunrise, fresh and yellow flowers remind me of the Indian Spring festival Holi and seem like it even mother nature wants to play herself with bright colours, so why can't we humans! I have not played Holi past 3 decades, and tell you the truth I'm not missing it either. I've always enjoyed watching others play it rather than join in myself. To get into the Holi spirit, I much prefer making different Holi foods and enjoying eating them! 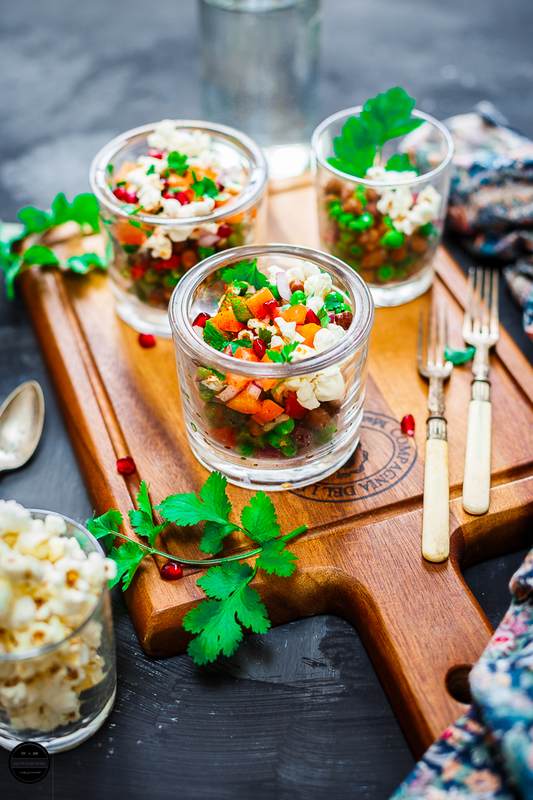 In Gujarat where I spent my childhood, I have seen so many recipes of using popcorn or puffed sorghum. I guess if popcorn was left over, then many different snacks and recipes could be made from it. DHULETI - on this day these snacks can be made with little cooking. 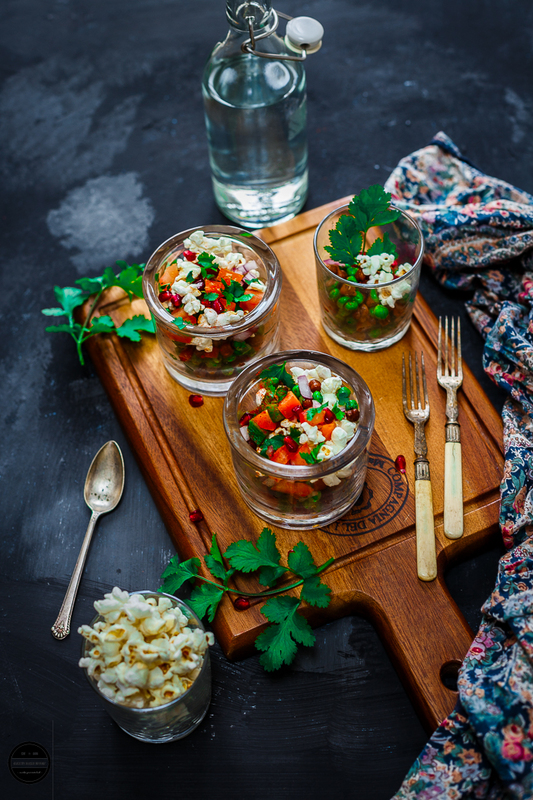 One such recipe is POPCORN BHEL or CHAAT. In all honesty, there is hardly any recipe here, just preparing the ingredients and mixing together and enjoy with friends and family. This snack can be made ahead once you are ready to serve just put all the ingredients together and enjoy. 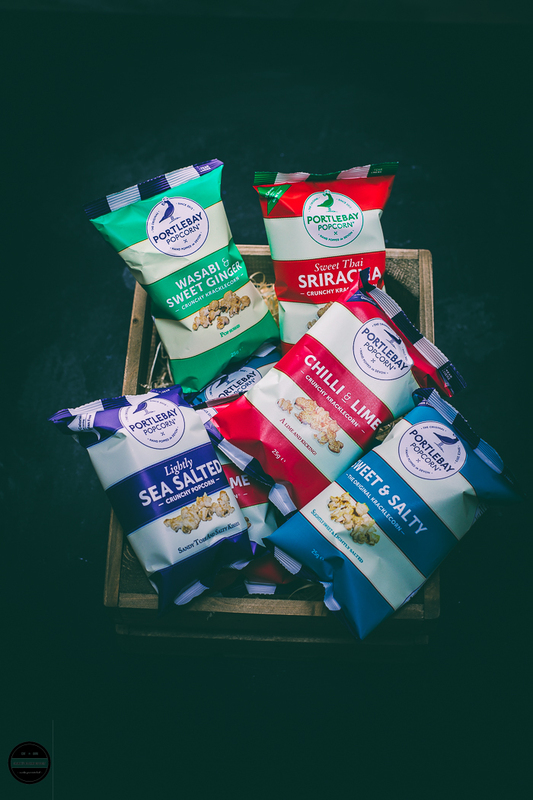 Recently British company from sunny Devon Portlebay Popcorn sent me their range of popcorn which is hand popped in Devon. 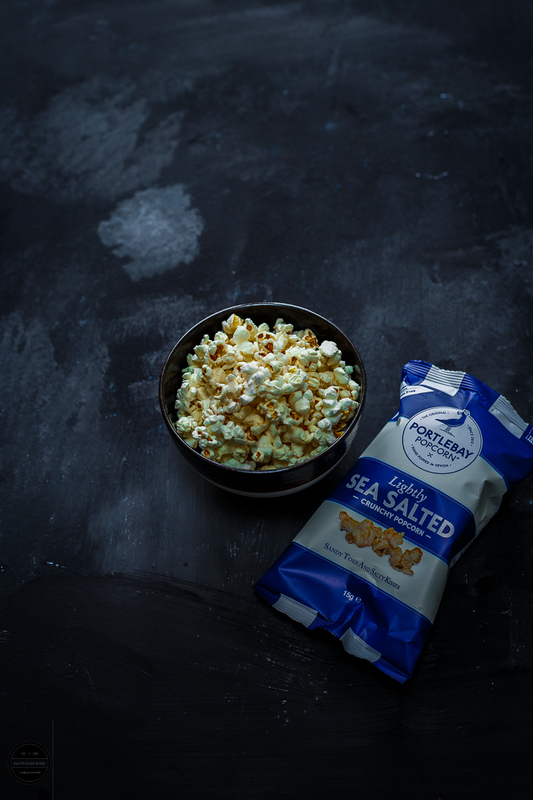 Flavours including Chilli and Lime, Cinnamon, sea salted and sweet and salty, Wasaabi and Sweet Ginger and Sweet Thai Sriracha. Enjoyed all the flavours and now it is very hard to choose a favourite! This chaat turned out so well and delicious, no one even mentioned needing any tangy, sweet or spicy chutney for this chaat whilst we ate it. Without that chutney, the chaat was still full of all of those flavours! I have used black chickpeas here, but you can use white chickpeas too. Chaat masala is available in any Indian store. If you can not find chaat Masala use lemon juice. 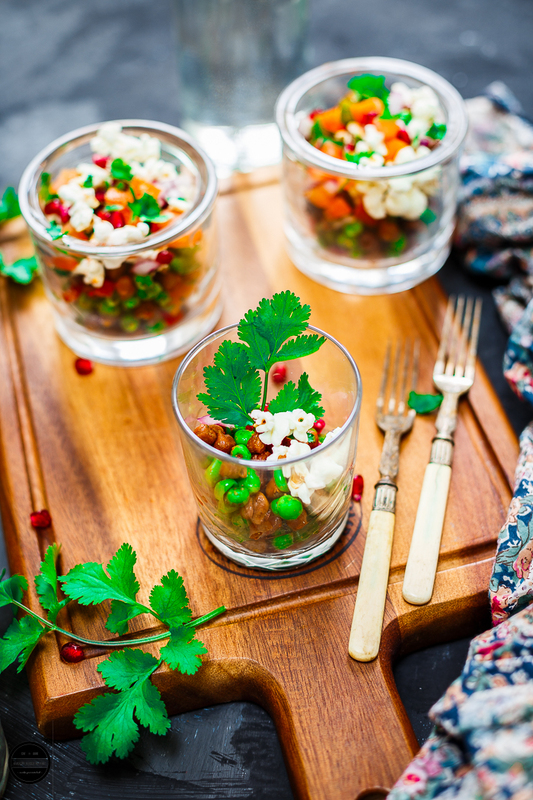 This nutritious, colourful and delicious Popcorn Chaat that is quick and easy and healthy! Heat oil in a kadai and add mustard and cumin seeds.Add frozen peas and cook for a couple of minutes.Now add boiled chickpeas (without any water) and mix it with green peas.Add a pinch of salt and turn off the heat.Once it's little cool down add green chillies, capsicum, and all the masala.Mix well and leave it aside or if you want to serve warm chaat add onion and tomato. 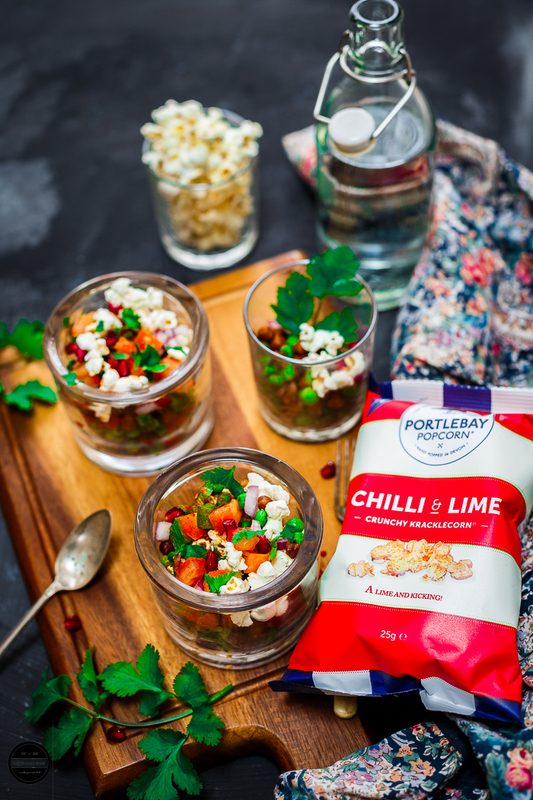 Mix well, then add popcorn and mix well.Serve immediately in a serving bowl and garnish it with freshly chopped coriander and pomegranate seeds.Enjoy! Disclaimer:- Thank you Portalbay Popcorn for sending us these products. I was sent these for an unbiased review and not told or paid to write a positive review. All opinions are my own. I haven't tried Bhel using Popcorn.. Sounds really interesting, colourful and healthy too! Please do make it, you'll be surprised how tasty it is. 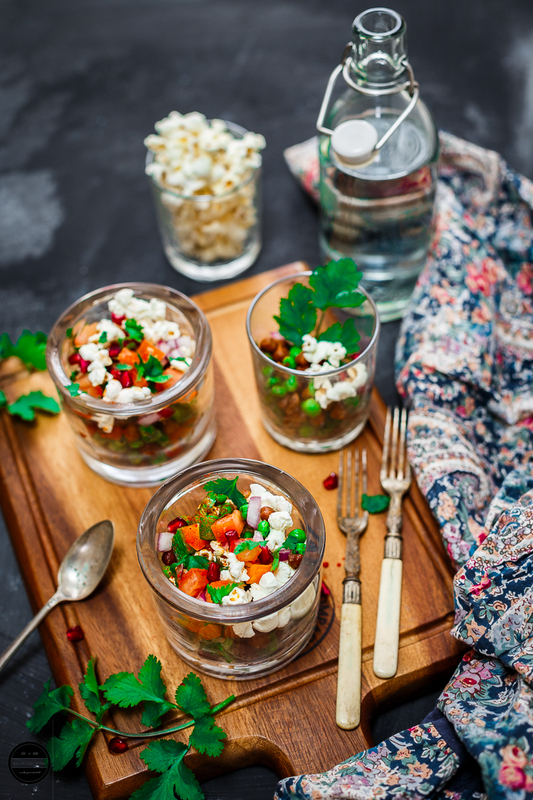 I love how you have used popcorn in this chaat recipe. It’s so much healthier than adding the usual fried snacks. Very innovative idea I love it. Exactly, you can enjoy same taste of classic bhel even in this healthy chaat too. Very Tempting chaat with unusual combination Jagruti.. Very Innovative and the Presentation was Wowiiee..